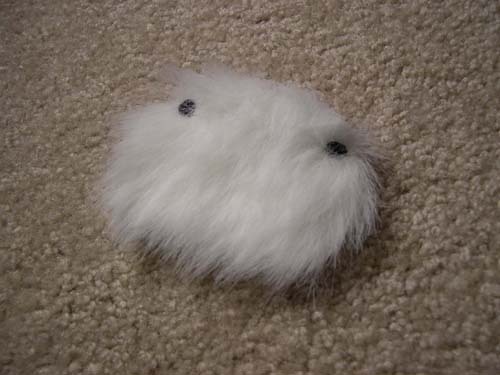 When I was young, I had some little animal finger puppets that were fun to play with. When I grew older and I wanted to buy some for my friends, I couldn't find any, so I decided to make some myself. 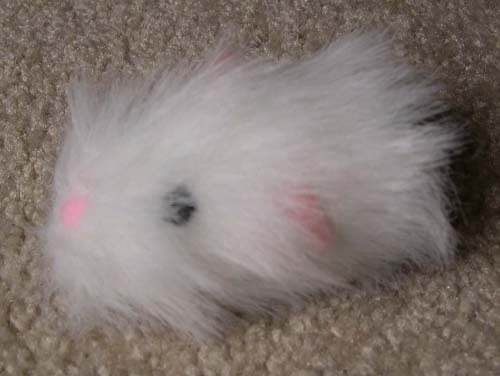 One advantage of the finger puppet over other sewing projects is that you don't have to stuff them like a normal stuffed toy. These are the materials needed to make the puppets. First, print out a copy of the pattern. 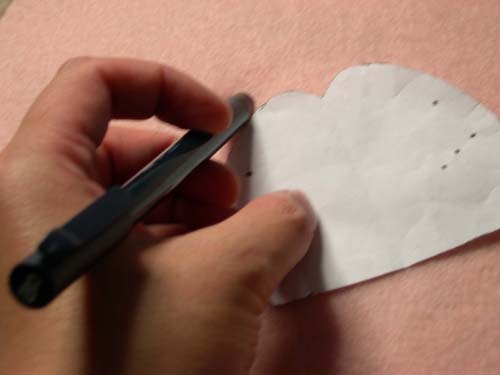 Cut out the pieces of the pattern and trace their shapes on the appropriate pieces of fabric. 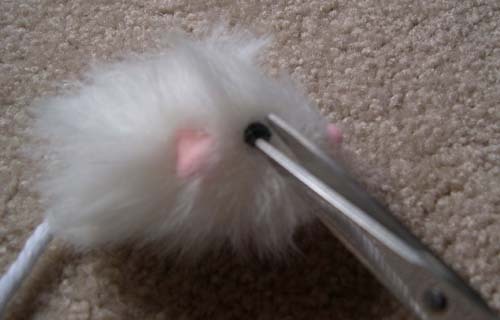 If you are using fur for the body, be sure to orient the direction of the fur so that they point towards the back of the mouse (the straight part of the pattern). Mark the locations of the eyes and nose on the back of the material. Cut the pieces of fabric. 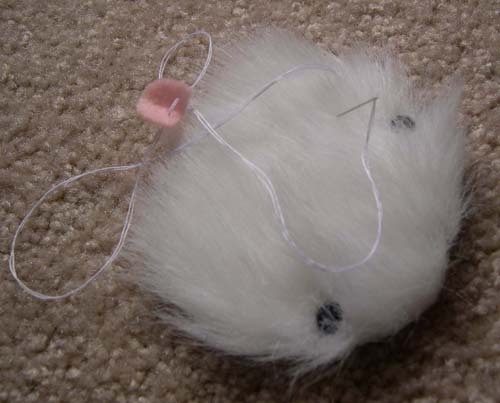 Sew the eyes to the body: push the needle out through the eyeholes in the back, through the pom pom, back in through the hole, and then tie off the thread. 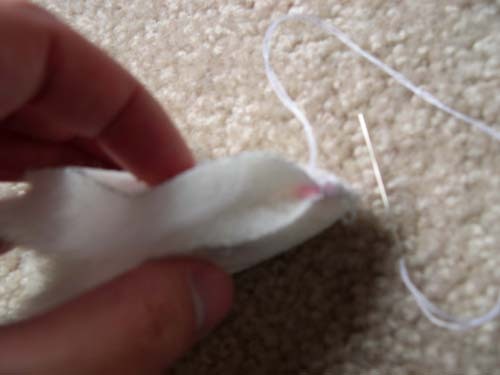 Then attach each ear by pushing the needle through the top ear hole in the hold, through the two holes in the ear, and then back through the bottom ear hole before tying off the thread. Make sure the ear faces the right direction! 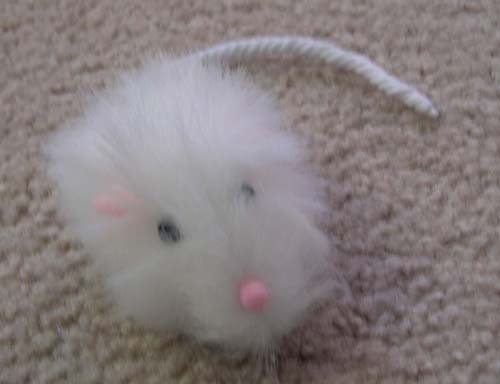 Fold the mouse in half along the center edge, so that the eyes and ears face inside. 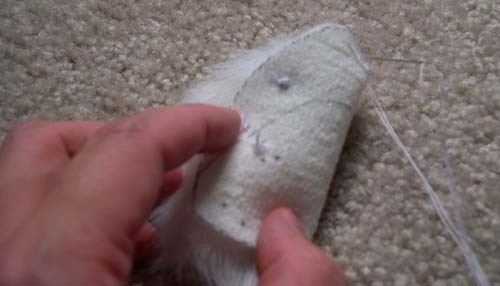 Start sewing the curved edges of the pattern together. 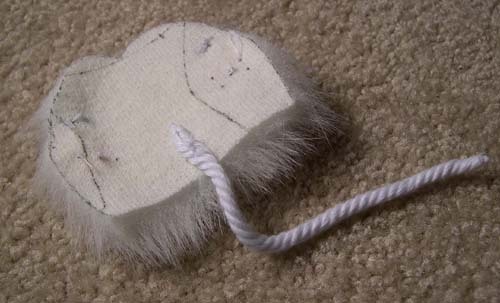 If you used fur for the body, you may have to use scissors to cut the fur away from the eyes so that you can see them more easily. You might also want to comb the hair a bit so that it is not so wild and tangled. 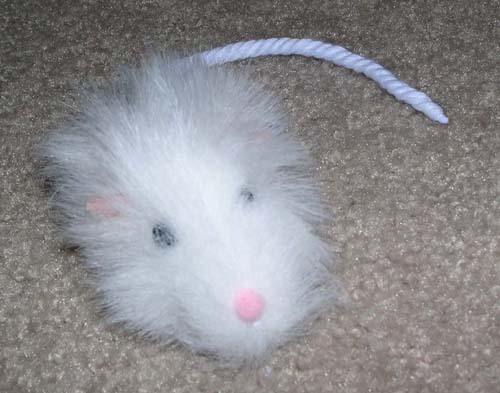 And voila, you have a finished mouse puppet.